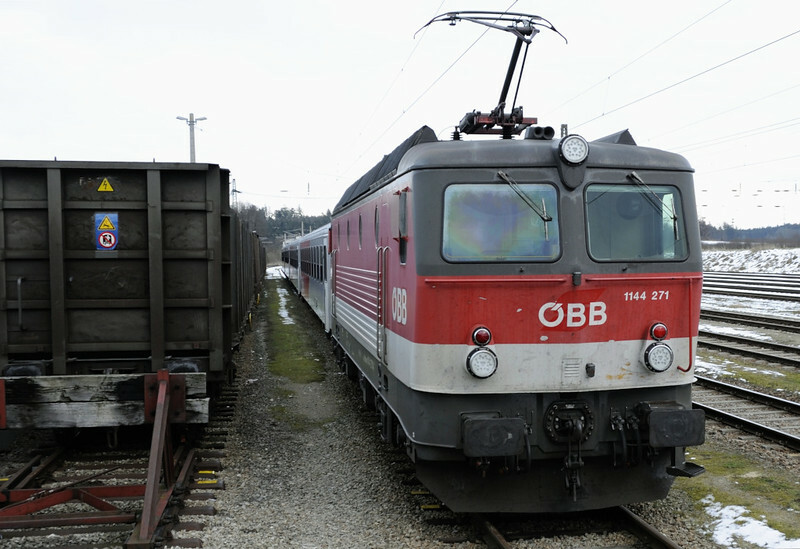 20 photos of Austrian Federal Railways (OBB) and other main line services, mainly at St Polten and Salzburg. 1144 271, Gmund, Sun 1 February 2015 - 1624. Here are views of two trains stabled at Gmund.